Innovative Rodding Specialists was founded in 2009 in order to serve the need for High Quality engine driven vehicle fabrication and restoration. Following is a little information about Dan Ruth it’s founder and owner. 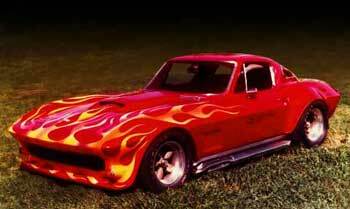 Dan was born in Glendale, California in 1952 to Fred and Joy Ruth, two young Southern Californians, with a passion for fast cars, motorcycles and boats. Dan is the middle of three sons whom all grew up in a well-balanced Christian household that was enveloped by motor sports activities. 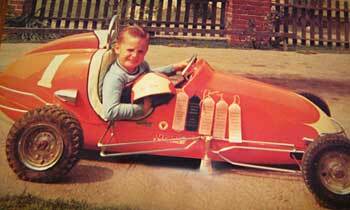 Dan’s first racing win came at the young age of four, in Panorama City, California. 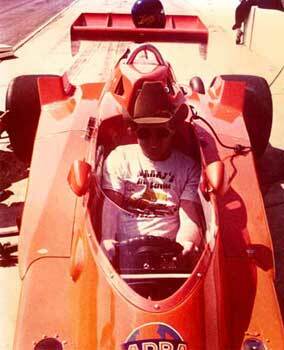 He was driving a beautiful orange and white 1/4 midget built by his father Fred. Later on, Fred saw an opportunity to earn a living in the sport he so dearly loved and he started TrackMaster, a company that became one of the premier manufacturers of 1/4 Midgets in the 1950’s and 1960’s. Dan drove the “House Car” along with other later to become Indy 500 competitors to hundreds of wins and championships. 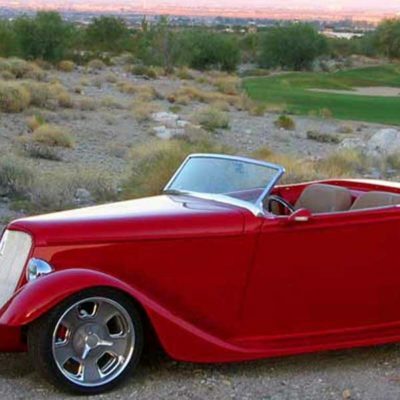 Dan’s first big car was a truck, not just any truck but a 1928 Ford Model A Roadster Pick up! Dan went on to get Saturday Night fever and built and campaigned his own NASCAR Late Models at tracks all across the Southwest. He raced at the famous Ascot Park and Saugus Speedway where he became a Rookie sensation racing with the likes of Bobby and Donnie Allison, Alan Kulwicky, Ernie Irvin, Darrel Waltrip and many other short track stars whom later in their careers would become NASCAR Cup Champions! Dan lived in Southern California in his early twenties until a job opportunity arose in Sacramento, California and Dan sold his house and all of his racing equipment and headed for Northern California with his beautiful wife, Joyce, and two young boys, Ryan and Curtis. He could not stay away from racing long and built a 90 mph 21ft Ski boat and built a couple of racing Go Karts for himself and a couple of 1/4 midgets for his two young boys. With the boat, the young family spent many hot summer days on the river enjoying water skiing and of course Racing and Dan again gained many more wins racing his karts on both dirt and asphalt across the state. The two young sons began their own racing careers with Ryan racing against the likes of the then very young and talented Jeff Gordon and Curtis also following in the family tradition of “Racing Ruth’s.” While living in Northern California, the Ruth’s attended races almost every Saturday night at over a dozen race tracks as both competitors and fans. Dan was working as a Collision Repair technician at a large Freightliner Truck Dealership and later became the shop manager of a staff of 10. Dan later went onto starting his own Auto Body & Paint Shop in the small rural town of Lincoln, California where Dan and the family became part of the small town infrastructure and Dan became a Firefighter/EMT on the local Volunteer Fire Department. Dan and Joyce built their business up from scratch with a little personal savings and a lot of hard work over the next few years and just as things were leveling off, they decided to sell the business and move back down to Southern California to be closer to family and old friends. Dan then went to work for Sherwin Williams Automotive Paints as a salesman and the family was again on the road relocating to Phoenix, Arizona where they have resided since 1989. Dan quickly became proficient in Auto Paint sales and became their Top Salesman for North American in 1990. After a few short years with Sherwin Williams, Dan was again going back to work for himself and started Innovative Refinish Supply, which quickly became a strong force in the Phoenix marketplace until one fateful November afternoon in 1996 where during an armed robbery Dan and a business associate were shot by the robbers with Mr. Sanders passing on from his wounds and Dan spending 30 days in the hospital and ultimately losing his right leg in the process. With Dan’s new look on life, he was soon back on two feet and driving again by January 1997. Shortly thereafter, Joyce would let Dan fulfill his desire to race open wheel once again with the purchase of a couple of USAC Midgets that Dan and his oldest son, Ryan, would race in Phoenix and on the West coast. 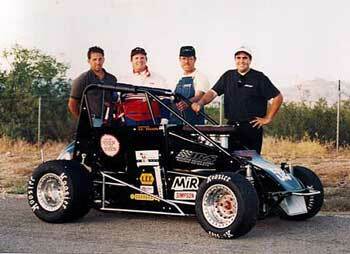 Dan’s first race in the midget was at Tucson Raceway Park, famous for NASCAR’s Winter Heat, where he finished fourteenth with a stuck throttle and the resulting glowing brakes. 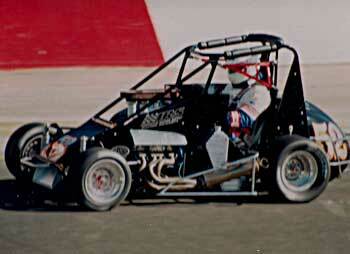 At the time, Dan was the only USAC licensed driver with a prosthetic leg approved to race tracks as large as Indy. Dan raced a few times that year, getting a couple of third place finishes and many heat race wins until one fateful night at Manzanita Speedway his son Ryan barrel rolled many times and spent a few days in the hospital. For all intent and purposes both of their open wheeled racing days were now over. Ryan has since recovered from his injuries and enjoys life as a Race Team Manager of a team he managed successfully competed in the Infinity Pro Series and Sat on the pole at Indy and finished fifth in the National Championship in their first year. Ryan and his wife of 7 years, Judy, have an energetic young racer “Tyler” age 6 that as started racing and will carry on the Ruth tradition and beautiful daughter “Alison” age 4 who is already talking about giving Tyler the race of his life! Dan and Joyce’s youngest son Curtis is a successful Kart racer having finished second in the Nation in the prestigious “Constructors Cup” and being the first IKF Pavement Speedway Expert after winning three National crowns in one season. Curtis is married to Melissa and they have a gorgeous young son named Mathew whom probably will follow in his dad’s footsteps someday. Early in the mid 1990’s, Dan had decided that importing would be fun and profitable and after months of research and travel to England and Italy, the Ruth’s began another business challenge that brought a whole new list of issues to deal with. Language barriers, foreign currency exchange, customs, duties, overseas freight and last but not least, National and International marketing and distribution. By 1997 both Innovative Refinish Supply and Innovative Racing Supply, which occupied a 7000 sq ft building in Glendale, Arizona would consume all of the families time while both businesses were flourishing being staffed by family and a few dedicated employees. The paint store was sold to a large conglomerate in 2002 and the focus was put on the karting business which had become a major player in the North American karting scene with distribution of their personally designed and imported kart line “KGB Racing Karts” in virtually every state in the union. This challenge produced very good results until the European Union adopted a common currency (Euro) and the American dollar quickly devalued to a point that the profit margins made importing no longer feasible. Joyce was diagnosed with Ovarian Cancer on Mothers Day 2004. After emergency surgery and many months of chemotherapy, Joyce has become a survivor and forced to make changes in lifestyle and philosophies in order to survive.After surviving two near death experiences, Dan and Joyce decided a change was in order. In July of 2005 they turned over the karting business to their youngest son, Curtis, sold their large home in Peoria, Arizona and tried to retire. Retirement did not last long and Dan began managing a new NASCAR Elite Series team for a long time family friend, Dan became aware that Tucson Raceway Park, the track he had once raced at was for sale. After months of negotiations and research, an agreement was met and Dan and Joyce became the new operators of a NASCAR race track which would start another chapter in the lives of the Ruth’s. Opening night would be August 12th, 2006 with sixty some cars in the pits and thousands of race fans and of course- Great Racing. After three seasons of inconsistent car count, Dan & Joyce made the difficult decision to close the track following the 18th Annual Bud Shoot Out on November 22nd of 2008. Dan and Joyce would return to Phoenix where Dan would become the Operations Manager of the famous Manzanita Speedway for the 2009 season. That job would be short lived as the track would be sold after just a few races that year and Dan would again be changing direction. 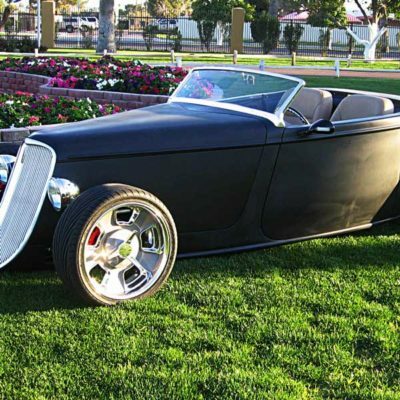 Dan’s father Fred saw an ad in Street Rodder magazine for a unique Cad Cam generated race inspired 33 Hot Rod and asked Dan if he would like to take on the task of assembling the well designed Kit. Being unemployed at the time, he decided to take on the challenge. After traveling to the Factory Five Racing headquarters in Massachusetts to meet the staff and get the kit the build would start on June 8,2009. With 320 days and 3000 + man hours the Hot Rod Lincoln would make it’s maiden trip on The Street Rodder Magazine Road Tour to the 2010 NSRA Nationals in Louisville Kentucky. 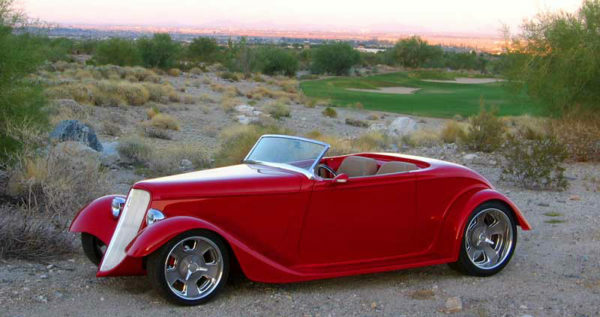 The Hot Rod Lincoln would gain national attention at the event and would latter become a Feature story in Street Rodder Magazine. The evolution of that car has developed a demand for Dan’s services and Innovative Rodding Specialists has began a new chapter for the Ruth family. We custom-build the components you need!